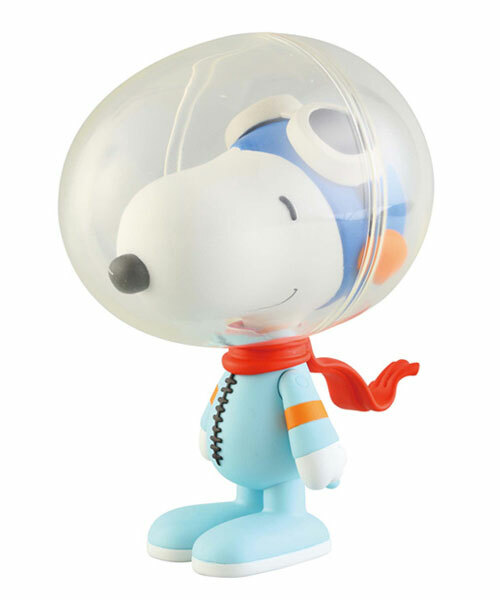 Medicom Toy's latest release in their line of limited edition Peanuts' vinyl collectible dolls is Astronaut Snoopy. Standing approximately 5.3" tall, Astronaut Snoopy is styled after the drawing Charles Schulz made of the spacesuited beagle for use by NASA. Shipping later this year for $45, Medicom Toy has been granted Sideshow Collectibles a small number of the figures for U.S. distribution.